Globalization has been affecting the way in which companies run their businesses. For this reason, firms have to consider how to adapt their business in an international market (Appadurai 1990). Not only Multinational Corporation, but also small companies over the last few years have been affected by new economic trends and they need to adapt themselves to a more competitive environment. Companies have to be aware of how to manage their brand across countries. In other words, the need for brand internationalization is an important element in a company’s strategy as it allows the company to succeed on the market. To sum up, companies tackle important challenges during the course of their international marketing actions, in particular regarding their brand management. In fact, to promote brands internationally may grant companies many diverse chances to extend their activities (Melewar and Walker 2003). A brand is international when it is well-known and available in more than one country in the economy. Even though it may differ from one country to the other, the brand versions share a similar identity and a common target in some respects (Raman, 2003). In order to gain a competitive advantage during the international expansion process, firms may develop their brands on a global level (Craig & Douglas, 2000). Global brand and international brand are two similar concepts. Buzzel, R., (1968) pointed out that a brand can be defined as global when it has been launched worldwide by exploiting the same name and position in every market. Global brands benefit from economy of scale and they offer companies economic advantages. According to Aaker, D., (2004, p. 268) a global brand may gain advantages from many factors due to a high level of prestige and reputation. In this way, people from all over the world recognize the brand and readily appreciate it. On the other hand, consumers seem to be more demanding when evaluating global brands. In fact, according to their expectations, the brand has to be the symbol of innovation and quality. Douglas and Wind (1987) and Agrawal (1995) argued that a company may consider differences among countries and differences within the same countries during its process of internationalization. All over the world, different places are characterized by different elements in terms of culture, economy, buyer behavior, social needs as well as market structure. In support of the previous authors, Aaker and Joachimsthaler, (1999) stated that international branding strategies should be designed according to specific needs of customers. In other words, a branding strategy has to be able to meet the local needs of the consumer. As mentioned before, a global brand benefits from many economic advantages due to the economy of scale. For this reason a company in order to be successful, needs to achieve the right balance between local and global needs thus to be closer to the consumers and be able to achieve economic advantages (Preston, 1996). Globalization implies the creation of a brand all over the world. For this reason, brand identity needs to support the brand during its process of brand internationalization by defining the characteristics of a brand in terms of tangible and intangible assets (Kapferer J., 2008, p. 488). According to Aaker, (2004, p. 11) the “corporate brand identity serves as the link between the organization and the customer”. In fact, corporate identity has to be figured out from the member of an organization such as employees, retailers, so that they are able to transmit the value of the company to the customers. A company’s brand image describes the relationships existing between the company and its customers. Such a combination is important to set a corporate strategy since it is able to modify the consumer’s decision making process (Keller, 1993). As identity’s assemblage is done by brand owner, its effectiveness will be achieved as the owner’s aim will be to target consumer’s perception. An effective brand is considered to have a clear connection between the personalities of the brand as the consumers perceive it and the real product itself. To sum up, brand identity plays an important role in the process of brand globalization. In fact, managers have to analyze the corporate reputation among stakeholders in order to figure out if the brand’s identity has been delivered successfully and if consumer can figure out what the company aims to communicate (Harris, F., & de Chernatony, L., 2001). In an attempt to be considered superior in the market, the innovativeness of the organizational team leaders needs to be factored into the management. The organization need to actively undertake market assessment and incorporate development programs on technological transfers, competitive analysis, and commercialization. The management skills and the demography of the place will enhance the organization to effectively achieve the desired competiveness in the market; superior methods deployed and quality work taking the upper hand (Kapferer, 2008). The process of conquering the international market has to be managed gradually. First of all, a company needs to establish itself on its domestic market, and then other markets can be considered to increase the volume of sales. The main problem is that not all countries have a potential customer for their brand. A company needs to evaluate the potential and barriers of every country in order to understand if a country can be a source of advantage Kapferer, (2008, p. 490). Several factors have to be considered in order to assess the attractiveness of a new country: market size and market growth, competition, servicing costs, political and economic environment (Ryans, A., 1987). The assessment is necessary to investigate the market, its main players and its competitors. A company needs to instinctively devise the position on the market of its brand compared to its competitors. Moreover, for corporations it is important to comprehend their micro and macro environment. Microenvironment denotes those elements over which the marketing firm has control and this category such as managers, employees, suppliers, customers, marketing intermediaries and competitors, whereas the microenvironment reflects the forces that the organization is not able to control such as demography, economy, nature, technology, politics and culture; both the macro and micro environmental factors have been seen to have changed rapidly with the advent of technological knowhow. These elements might influence the capability of the company to enter a new market and make money (Soegoto, S., 2007). Brand Architecture is “the organization and structure of the brand portfolio by specifying brand roles and the nature of brand relationships between brands and between different product-market contexts” (Aaker, D., and Joachimstaler, E., 2000, P. 103). Similar to this concept, Rajagopal and Sanchez (2004) pointed out that brand architecture represents the integrated process of establishing the brand and the relationships among brands within the same organization and it is related to the structure of an organization, its values and how such values are positioned in the market or across markets. A different definition has been provided by Osler R., (2003, p. 438). He stated that brand architecture “seeks to create the best view of the company’s brands from the perspective of the marketplace”. According to Petromilli, M. (2011) brand architecture is the manner in which a company organizes controls and markets its brands. Therefore, brand architecture is a core pillar of marketing within an organization and influences the capacity of the corporation to maximize its market share. In this case, brand architecture may be defined as branding structures established by a business entity to enhance its operations in line with pre-established strategies (Grunert, et al, 2006). The brand architecture can come in differing forms depending on the nature and size of the organization. For instance corporate brand involves the brand that is used by the consumers across the organizational activities, and endorsed brands are where the parent brand endorses their effectiveness to a sub-brand (Rajagopal, 2004). The architecture gives the relationship between the overall organizational established strategic goals and strategies and the brand strategies imminent in an organization. “The brand portfolio includes all of brands managed by the organization, including the master brand, endorsers, sub brands, branded differentiators, co-brands, branded energizes, and corporate brands, even if they seem dormant” (Aaker, D., 2004, p. 16). Brand architecture and brand portfolio are two different concepts. Brand portfolio is related to market coverage and it aims at minimizing the brand overlap by creating, developing and managing several brands within an organization. On the other hand, brand architecture serves as an outward facing marketing tool that aims at minimizing the customer confusion by defining the product structure thus enhancing consumer’s understanding of different brands and their roles. Proper brand architecture is made up of five elements: brand portfolio, portfolio roles, product-market context roles, portfolio structure and portfolio graphics. While we know these five dimensions, there are six objectives to be followed if the brand architecture designing is to achieve an effective and powerful brand impact (Aaker and Joachimsthaler, 2000, p. 134-135). The powerful system of the brand architecture is a prerequisite in the development of the corporate identity. Brand architecture is related to brand portfolio in that the portfolio is imperative for basic architectural parameters. During the architectural process it is important to decide the brands to add or withdraw, since it requires more resources to support them (Chailan, 2009). This helps in coming up with an appropriate brand architecture. The brand architecture is related to product markets because as buyers tend to substitute their consumption on the products as a result of small price increase (Holweg, 2010). Agencies have devised ways in which they can effectively market their products without any adverse effects to the profit outlay incase of increase in prices due to factoring in of advertisement and marketing costs into the price of the products. Brand architecture is also related to portfolio roles as they induce various brand roles creating synergy. This in its turn imparts a strategic perspective to brands with roles involving strategic logo design, linchpin logo design, cash flow logo design and silver bullet logo design (Moukanas, 2002). These roles assists in coming up with a comprehensive brand architecture. Portfolio graphics helps the architecture to design an eye-catching product that will evoke interest to the customers in the competitive market (Kent, 2010). Graphics are widely used in designing of logo and advertisement of the brands which are components of brand architecture. Correct use of graphics ensures a product penetration in the market at it will demand interest to the consumers. Generally, brand portfolio strategy is aimed at maximizing the market coverage and at the same time minimizing the brand overlap by effective deployment, management and creation of multiple brands imminent in the organization. As such it serves as a tool that ensures key segments in the organization are targeted (Chailan, 2009). This is unlike brand architecture as it deals with outward-facing tool for the consumers. Apparently, it minimizes consumer’s confusion by providing a clear and easy-defined product structure. Brand extension refers to the use of current brand name to approach a different class of product. The introduction on the market of a new product or a variant exploiting an established brand name can reduce the investment required to develop a new brand. This process may enhance the possibility for a new product to be successful thanks to the awareness and the reputation of an existing brand (Aaker 1990). Powerful brands are often the best ones in order to achieve brand extension policies thanks to their high visibility on the market. Aaker (1990, p. 29) pointed out that “if the brand is associated with high quality, the extensions should benefit; if it is associated with lower quality, the extension can be harmed“. High advertising costs and increasing competition for shelf space are the factors that make it more difficult to succeed with new products (Aaker 1991). For this reason, through brand extension, firms can reduce their risk by taking advantage of the existing advertising related to other product identified by the same brand name. According to Dacin, P., and Smith, D., (1994) managers when pursuing brand extension strategies have to consider the number of products to link to an individual brand name, the stage of quality variability across products joined to a brand, and the stage of relatedness among products affiliated with a brand. Brand extensions are frequently used in consumer marketing. Most brand extensions are logical additions to an existing line such as Coca-Cola introducing Diet Coke or Caffeine-free Coke. The key note is the same, even if a little more difficult, when the move consists in transferring into a more distant product category. Brand extension has been broadly used to decrease the perceived risk of consumers. The literature of brand extension reveals that consumers are mostly trusting brand reputation to meet with the uncertain level and risk associated to the products. 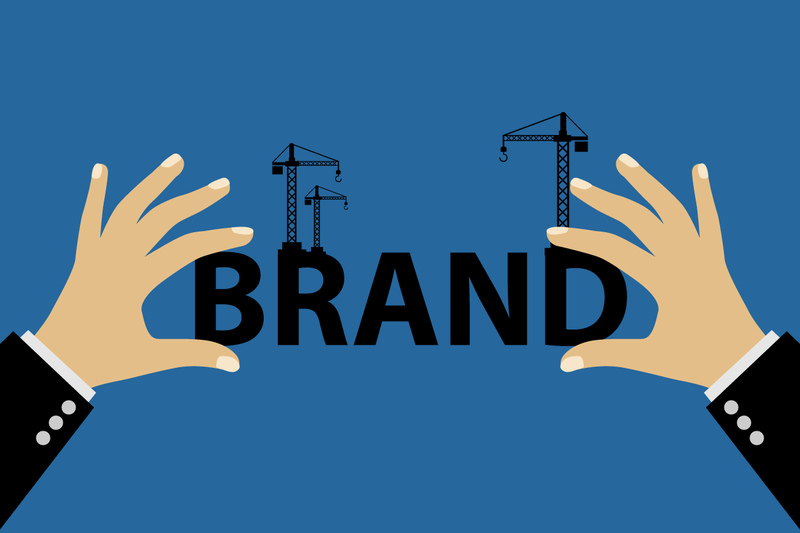 Brand equity set up within in a certain product category can also be used by the well-known brand name to third parties to be utilized in a related class. The strategy needed to challenge more significant players belonging to an industry sector (Thamaraiselvan, N., Raj, J., 2008). Corporate branding refers to a company applying its name to a product. In this case, the product and the company have the same brand name. Aaker (2004, p. 7) defined corporate brand as “the brand that defines the organization that delivers and stands behind the offering, the corporate is defined primarily by organizational associations”. By using corporate branding on a product, firms can engage in strong relationships with their customers in order to increase their level of brand loyalty. If consumers are willing to purchase some products from a company, they may look for that company’s brand name during the process of purchasing other products (Hatch, M., & Schult, M., 2001). The strategy of brand name is successful when a firm is well known and has a good reputation among consumers. Corporate branding implies a unique management approach by which the company needs to spend great emphasis on the crucial factor that characterized the business of an organization (Harris, F., & de Chernatony, L., 2001). In support of this, even Brown and Dacin (1997) stated that strong corporate brands have a deep impact and influence on the process of creating positive consumer perceptions of existing products and new products. Coca Cola and Pepsi are examples of corporate branding. For instance, the case of beverage industry, management can devise a corporate brand name that can effectively have a clear attraction of consumers to its products. Coca Cola Company uses the name of its company as a brand name. This enhances its sales revenues as the consumers will associate the beverage with the company therefore increasing the company’s profit outlay in the long run (Aaker, 2004). Corporate strategy is reflected by product branding, in fact, every product is distinguished by its own brand name. As such in the case of beverage industry, Coca Cola and Pepsi are considered two distinct products and consumer can effectively make a choice between the two products that can satisfy his/her needs. As a consequence, this approach implies that every new product needs to be marketed separately, since it focuses on a specific market segment. Product branding is more expensive than corporate branding as it targets a single consumer in a specific geographical area therefore the costs such as advertising and promotion cannot be shared among different brands, and its success on the market is strictly related to the product itself without affecting other products’ image. A product strategy is used to start a product even before being created. When a company completes research and develops a new product, it has to consider several key marketing tools prior to development. “Whereas product branding could be handled within the marketing department of a company, corporate branding requires organization-wide support” in fact “the whole organization from top to bottom and across functional units is involved in realizing the corporate brand, along with the audiences the brand is meant to attract and engage” (Hatch, M., & Schult, M., 2001, p. 1045). There are three different types of brand architecture. It is not necessary that firms employ all three of them but it is important that firms should assess which one to use first to make sure that the company is managing the right brand architecture strategy. The beverage industry needs to incorporate at least one of the brand architecture in an attempt to realize large market share. Currently, the popularity of the beverage brand is achieved by the nature of the brand architecture that the organization incorporates in its overall strategic plans. This includes; diversified architecture, hybrid architecture, and unitary architecture (Hatch, M., & Schult, M., 2001, p. 986). The first type is diversified, where marketing of commodities is treated individually. The marketing operations are conducted from the perspective of the product rather than from that of that entire institution. Therefore, products influence the mode of marketing employed to meet a pre-established objective (Nilekani, & Heyward, 2008). In this type of brand architecture, the products of the company are marketed individually to the consumers with the parent company name given partly and not predominantly. The ordinary person thinks that brands are manufactured by different manufacturers but the other stakeholders may think that the manufacturer of such products is only one company (Karlsson, C., Skold, M., 2007). In this type of brand architecture, the parent company is attached to the name of the product and this is done through visual or verbal endorsements. These brands comprise a parent brand that may be an umbrella brand, a family brand or a corporate brand. This is the strategy followed to add reliability and recognize sub-brands among end users (Douglas & Craig, 1999). Under this system, the connection between products and parent company during marketing is limited to visual only. The other operations are not linked to the company hence are treated individually. Therefore, hybrid structure is designed to respect a particular image of a corporation brand though numerous operations are treated independently (Esbjerg, & Bech-Larsen, 2009). This type of brand architecture uses the name of the parent company throughout the endorsement. The name of the parent company is marketed in all the products of the company. All of the stakeholders of the company including end users, office workers, stockholders, partnerships, suppliers and other parties know the parent company of all the products being marketed. A different classification of the types of brand architecture has been developed by Kapferer, (2008, p. 356) in terms of products freedom and communication management. The brand architecture should not be affected by the management’s short-term policies and should foster on achieving the strategic goals through product freedom. Every product in the market has its own brand. Each product is characterized by its own brand name that belongs only to it. As a result, each product covers a well defined segment in the market and these companies are defined by a large brand product portfolio. This strategy is adopted by companies which are very innovative and that want to reduce the degree of risk when launching a new product. By marketing a product with a new brand, in case this product is not successful, it does not affect the reputation of the original brand of the company. Coca Cola does the same whenever it markets an innovative diet product by using the new brand “Tab”. According to this policy, the name of the company remains unknown to the consumers only the product brand name is well known to the consumers. This line regards the exploitation of a successful idea by extending it but at the same time keeping it very close to the starting product. In other cases, the line brand strategy is launched as a complete ensemble, with many additional products linked by one single main concept. Any extension of the line will affect just the marginal costs linked to the packaging and the retailing discount policy. Advantages comprise the reinforcement of brand selling power and the creation of a sound brand image, easy distribution as the products are available at the specific geographical region and reduction of launching costs (Douglas, 1999). On the other hand, the line strategy disadvantages are recognized in the trend to forget the line limits and may be seen to affect other products that are not within its line. The range brand strategy uses a single brand name and encourages through single guarantees, a set of products belonging to the same sphere of competence. Such a strategy permits firms to avoid the external communications to be randomly spread by concentrating on just one name and allowing the entry and flexibility of multiple markets. Moreover, the brand can distribute easily new items that are consistent with its mission and are included in the same category. However this type of approach is not easy to handle due to its costly nature and needs a well-organized organization which incorporates minor changes imminent in the economy to its procedural undertakings. The market’s mark identification strategy is featured by discreet company logo, giving significance to commercial brand. It serves as a fundamental underpinning of the organizational marketing plans which are designed to enhance market needs and achieving the desired marketing objectives. Market mark identification strategy is embodied by the dynamism and the interactive nature of he current markets and it provides a clear platform for the yearly development of the marketing strategies (Raman, 2003). Endorsing strategy refers to the organization of a group of products or companies being endorsed with a group name and a common identity. The success of this approach consists of relationship between the products and the companies; they can take advantage of the goodwill given to others with the same shared identity. This is one of the cheapest ways to give substance to the name of a company and it allows the achievement of a minimal brand status. It permits double brand equity to develop the quality seal of approval, which is the least expensive method to build brand equity in the company name .It makes use of product brands to show different aspects of personality. The brand endorsement can be expressed geographically by placing the symbol of the endorser next to the brand name. On the implementation of this strategy, each single name evokes a strength image and has the influence to enhance the consumer to recall the brand name. The umbrella brand refers to the brand supporting different products in several markets. The umbrella brand is an overarching brand, utilized across multiple related products. It is opposite to individual product branding , based on which each product of a portfolio is given a unique brand name and identity. It often happens that economies of scope are combined with umbrella branding since multiple products can be thoroughly promoted with individual advertisements or a campaign. Umbrella branding makes the introduction of the new products easy by providing a familiar brand name that can lead to trial purchasing, product acceptance, or advantages of other kind. Umbrella branding may place a greater burden on the brand owner to keep quality consistent. In the case where the quality of a single product within the brand family is compromised, this could affect the reputation of all the remaining products. That is why umbrella branding is generally restricted to product lines consisting of products with similar quality standards. The Umbrella brand strategy permits the core brand to become stronger through associations in the sectors it was not present before. Umbrella appeals new entries for the capital of representation, but in the course of the process it gets stronger through the new entries and supports the image capital. Brand architecture describes the structure of the brand portfolio within an organization by defining the brand roles and relationships among different brand and different product-market contexts (Aaker, D., and Joachimstaler, E., 2000). Choosing the right brand architecture is a strategic decision that can improve the profitability of a company and reduce its costs in terms of marketing investment. In fact, a proper brand architecture can guarantee that the brand and its value are perfectly aligned with the right segment and the specific needs of the consumer thus to enhance the company’s profitability. According to this position (Rajagopal And Sanche, 2004, p. 235) “The conventional strategies of brand architecture have been developed to reference to equity charter, leverages and brand profitability”. Brand architecture provides advantages in relation to the buying power of the customer, for this reason, it influences the profitability of a company. According to Walsh, and Whelan (2002, p 43), a “firm size distribution in Carbonated Soft Drinks is mainly an outcome of the degree to which firms own a portfolio of brands across segments of the market, and not from performance within segments”. Globalization has led to the increased use of these strategies for competition in international markets. (Douglas & Craig, 1999). In some countries like the UK, companies employ a different strategy whereby they market various beverage products such as Coca Cola, but they do not bear the Coca-Cola name in them. Extension of global and regional media, international retailing and movement of people has led to integration of business organizations. The companies are left with a challenge of using brand architecture more extensively in order to get more attention in the market including that attaching to new products, offered to immediately receive the attention of the audience. Brand architecture has been taken positively by all the ins dusters in the economy as it is perceived to be the key factor in ensuring that the company can realize its strategic goals with ease or not. In deciding the strategy that the organization can pursue in an attempt to structure the organization brand portfolio, various strategic issues need o be put into consideration. Beverage industry has embarked in articulation of these strategic considerations in a view to achieve their objectives. Among these includes; audience diversity, brand elasticity, product or service offerings, competitive context, organizational structures, and brand equities (Douglas & Craig, 1999). In the case of designing effective brand architecture, audience diversity should be fostered so that the brand cannot subjectively focus on one audience enhancing cost effectiveness of the project. Its clear that elasticity of a brand in covering different markets and products will ease the overall management’s cost outlay. Coca Cola’s brand policy is crucial for the success of the company. The proof is that Coca Cola has become the world’s most valuable brand. Coca Cola manages a brand of more than 3500 products in over 200 countries such as diet beverages, fruit juices, energy drinks, teas, coffees, milk… (Coca Cola company products, 2011). Coca Cola ‘s brand portfolio includes brands such as Coca-Cola, Diet Coke, Coke Zero, Coke Classic, Sprite, Fanta, Dasani, PowerAde, Minute Maid already marketed successfully on the market, but, in addition, the company is always involved in enhancing its brand portfolio by developing new products. According to Walsh, and Whelan (2002), a balanced product offering involves a constant expansion of the range of product brands and flavours offered to their consumers and customers. This is seen to be effected across the growing non-alcoholic beverage categories in order to respond to new tastes and preferences. By broadening their product brand portfolio, they are offering their consumers more choices than before. By the end of 2010, their water and still beverages was approximately 36% of their total volume, with more than 30 water brands in their portfolio. Expanding consumer choice with innovation enhances Coca Cola to pride itself on thinking ‘outside the bottle’ by often considering new strategies to broaden their beverage portfolio of brands through packaging and brand innovation. They are present in every occasion of consumption, with the correct brand, in the best package across all sales channels. Nutritional labelling information involves the introduction of labels in the EU member states in order to help customers understand the content of calories in beverages; initiated in 2007. New packaging solutions continues to broaden the Company’s brands offering to address by making the product more accessible and that it always met the ever changing consumer needs, for instance, by introducing new package forms. As an extreme example, one of the extensions, Cherry Coke, was successful despite a near absence of advertising support (Pitta, D., Katsani, L., 1995). Cola has been aiming to market a new product by exploiting a well-developed image by introducing new products such as Diet Coke, Caffeine-Free Coca-Cola, Coca-Cola Cherry, Coca-Cola Zero, and Coca-Cola Vanilla. Recent history shows that more than half of the new brands marketed during the 1980s were extensions of existing products, marketed under existing brand names. The most famous of these is Diet Coke, which is a major diet cola. Other Coke products are Caffeine free Coke, Cherry Coke, Coke ZERO, etc. On the other hand, Coca Cola has been marketing new products under new names. They are given their own brand names such as Fanta, Sprite etc. By analyzing Coca Cola’s brand portfolio it can be seen that Coca-Cola is an example of a hybrid brand architecture Coca-Cola uses that name on all its cola brands worldwide on product variants for example Coke Lite, Coke Cherry caffeine free Coke and Diet Coke in some countries. In addition, it has a number of regional or local soft drink brands in various fruit flavours. Looking closely at the Diet Coke drinkers, also known as Coca-Cola Lite, they would acknowledge the fact that the product is related to Coca-Cola, but to them it is not a sub-brand, it is their brand. Where some brands benefit from association with the Coca-Cola brands, others are spectator brands on their own. In fact Coca-Cola set up different brand strategies in different products by using a Hybrid brand strategy in cola drinks that are under the Coke brand name. A new product with the brand name Coca Cola if introduced into the market would have numerous benefits. The company has had a track record of many years and so the brand is recognized to convey an image of high quality and value. Consumers also build loyalty to the product as to the pre-existing one, due to the instilled trust. The disadvantage of it is that consumers associate branded products with the impression that they are more expensive. If the product does not have the brand name, it is easily accepted into the market due to the experience of the parent products. The disadvantage of developing such a new product is that the consumers expect it to have the same quality and the price should not exceed the price of the existing product. Coca-Cola Company deploys various techniques to acquire a considerable market share in the beverage industry. Development and expansion of the company is vested on various policies introduced to enhance its marketing prowess as well as meet respective customer preferences in the globe. The Branding architecture of the company has played a pivotal role in enhancing development and market maximization. Coca-Cola Company deploys hybrid mode of system through wishing the name Cola to one of its brands in the global economy. Also, the company has been in front in producing other brands in different regions in society aimed at enhancing its market share globally through diversifying its brand system (Benedetto, 1999). PepsiCo’s brand portfolio comprises hundreds of brands in nearly 200 countries around the globe. PepsiCo is involved in soft drinks but also in other products such as snacks. The firm’s main brand is Pepsi-Cola, which is well known all over the world thanks to its long history of 100 years. The company owns other divisions such as Frito-Lay that are continuing to produce snacks all over the world. Tropicana Products is another division of PepsiCo which is committed to produce and market fruit juices. Quaker Brands are a wide range of healthy food choices whereas Gatorade is a division involved in sports nutrition research. It can be seen that PepsiCo’s brand portfolio includes plenty of brands but not all of them are related to soft drinks (Bremner, 2006). Pepsi produces a range of food stuffs of which there are a total of about 20 beverages with Pepsi-Cola and 7Up being a amongst its highest selling brands in the United States, common amongst persons of all ages Gatorade is now a beverage brand which came about after the merger of PepsiCo and one of its competitors. The name, however, still remained despite it being produced by a different company and this was also the case of Tropicana (Byrnes, 2010). The other division is that of the food and snacks such as Mirinda, Kurkure; Red Rock including a number of others, all which are distributed all over the world. A sub brand can allow a master brand with too broad an appeal to access niche segments. For example, Pepsi with hit huge, broad brand basically hit a wall and needed to create sub brand around the Pepsi (John, et al. 1998). By this, it means that Pepsi as a beverage grew from the competition which it received and this prompted it to come up with new products to counter it. Coming up with sub brands makes it easy to have more identity to the main by having a huge range to pick from and increase purchase of its products (Bremner, 2006). Examples of companies with strong brands that are wary of brand cannibalization are Coca-Cola and Pepsi Co. Besides being amongst the top brands, when venturing into other sectors of the business, they come up with new brands rather using the same names for all. This way, the business expands on an array of products by having a novel item at all times. Brand extension is the way in which a company decides to adopt a different market in a new category other than one that is used often and this can be good for the creation of stability and the worth of the company (Bremner, 2006). The above part shows ways in which venturing in other markets, one does not take up the same name but it is best to have a different name. The company’s branding systems has enabled the company to penetrate different parts of the world (Keller, & Aaker, 1992). The core similarity between Pepsi and Coca-Cola on branding lies on the companies’ deployment of a hybrid system in marketing its products around the globe. However, Pepsi employs a unitary mode of brand architecture where marketing of its products reflects the company’s image through the established marketing techniques by the corporation (James, 2006). The fact that the company has managed to establish a brand system in various countries in which it operates, indicates its strength in creating a unified mode of operations identified with the company. This enhances the promotion of harmonized organizational culture that reflects the structure that has been established by the corporation in attempt to fuel sales revenue to greater heights. The hybrid system in the market is one that aims at venturing into and across all markets and getting what is best in a competitive market. The marketing also involves marketing of its products by having in their refrigerators only their respective brands of products, as such, maintaining a healthy and competitive environment. Having as many distribution outlets as possible is enough to create a venture that is more suited to customers’ convenience (Humperson, & Quandt, 1980). In addition, the strategic advertisements incorporate different celebrities in the advertisement and promotion departments in an attempt to acquire the interest of consumers; resulting into increased market share hence high profit outlay (Bremner, 2006). Ag Barr produces a wide range of products aimed at satisfying United Kingdom demands as well as in other places in the world. The beverages are produced in a unique manner in order to cope with the stiff competition in the industry (Dinlersoz, 2004). On the brand architecture of the company, the organization applies mainly the unitary mode in the United Kingdom and hybrid in other parts of the world. This allows the company to penetrate into the market and integrate with the communities without overlooking their core values (Ag Barr plc, 2011). While marketing its products in different nations the company is partially linked with the operations (Heerde, Mela, & Manchanda, 2004). This shows similar operation deployed by both Coca-cola and Pepsi companies on international marketing. In addition, the company has shifted its emphasis away form the manual information acquisition and consolidation method and focused on the integration of Info sphere Balanced Warehouse and Cognos & Business Intelligence. This has enhanced the marketing of its brand facilitating the competitiveness in the economy and addition of value to the organization’s operations. As the vital factor in acquisition of a large market share articulates to the flexibility and the speed of the operations, cognos enhances faster delivery of the reporting (Chailan, 2009). The design for the Company’s brand architecture was facilitated by the complexity in the market operations and the overall cleansing of data before undertaking any initiative. Revitalizing of the marketing strategy of its brand by use of the competitive architecture enhanced its superiority in the market. Currently, the management aims at collecting data from its sales systems with the help of the balanced Warehouse; this are facilitated by QAD ERP system and Siebel CRM system. The rapid growth of globalization has prompted these companies to use more than just one strategy to sustain their competitive advantage on the international market. Brand architecture is only one of these strategies (Douglas & Craig, 1999). Many companies are expanding progressively by setting up or acquiring companies in other countries. If mergers and acquisitions are not enough, then these companies may also enter an exclusive partnership or alliance with other companies across national boundaries (Douglas & Craig, 1999). Simultaneously, the stretching of regional and universal media, the rise of universal retailing, together with the circulation of goods, people and corporations across domestic boundaries and markets have caused business organizations to become more integrated. Because of this, business firms have been required to provide greater attention to synchronizing and incorporating their marketing strategy across countries. This means the more extensive use of brand architecture in order to get more attention and become more competitive with their products. This is why Coca-Cola and PepsiCo are using the Hybrid type of brand architecture mainly in their international ventures. Since the company names Coca-Cola and Pepsi are well-established brand names, they have to attach it to the new products being offered to immediately catch the attention of the audience. In this manner, the companies’ new products would sell right away and more profit will be generated by these companies, thanks to vital efforts in terms of advertising and promotional costs and advantages provided by the economy of scope.